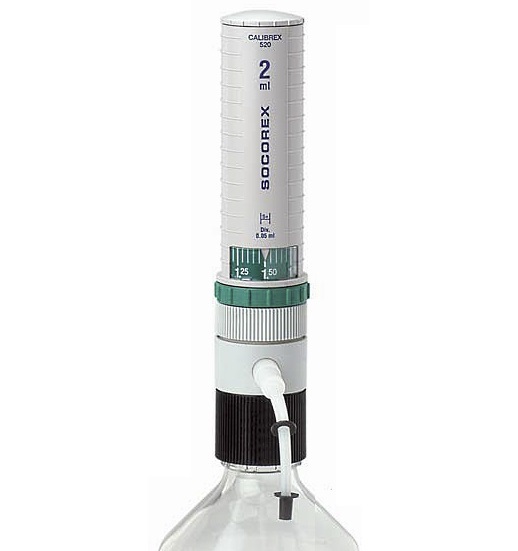 Designed for performance handling of liquids from a large variety of bottles and flasks, the Calibrex™ digital dispensers from Socorex combine the latest in dosing technology, in high-tech materials and ergonomic design. 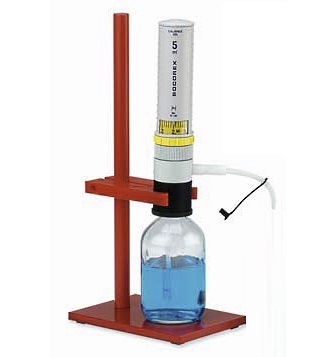 The universal 520 Series have a simple very sturdy construction, smooth action and broad chemical compatibility. There are three models with adjustable volumes. The friendly digital volume setting adjustment is fast and precise even with a gloved hand. These units are manufactured and tested to fully comply with current safety regulations. 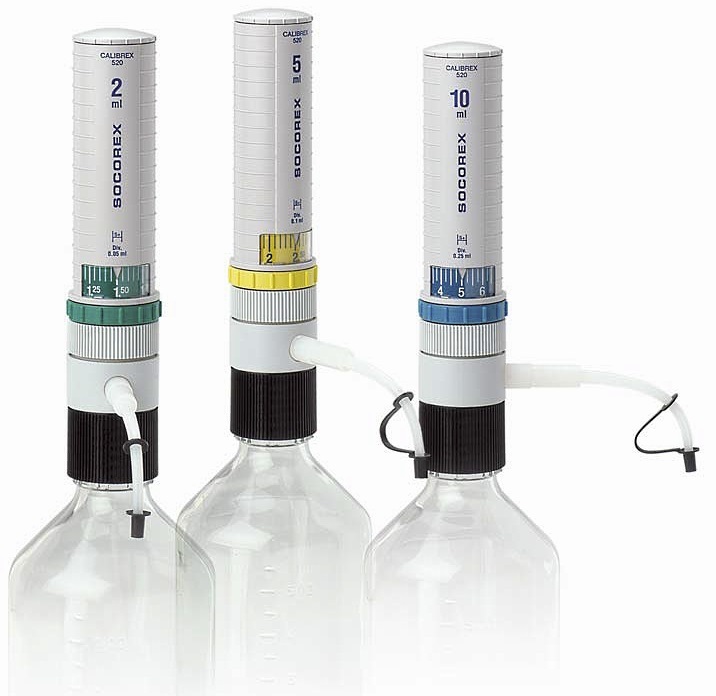 Calibrex™ dispensers have 32 mm base thread. 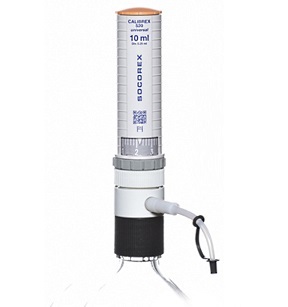 The white topped Calibrex™ universal 520 Series dispensers are supplied with one each of 28, 40 and 45 mm polypropylene adapters and a 300 mm PTFE feed tube. 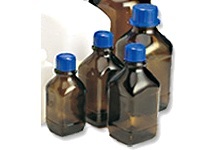 They are available in a range with maximum volumes of 2, 5 and 10 mL. 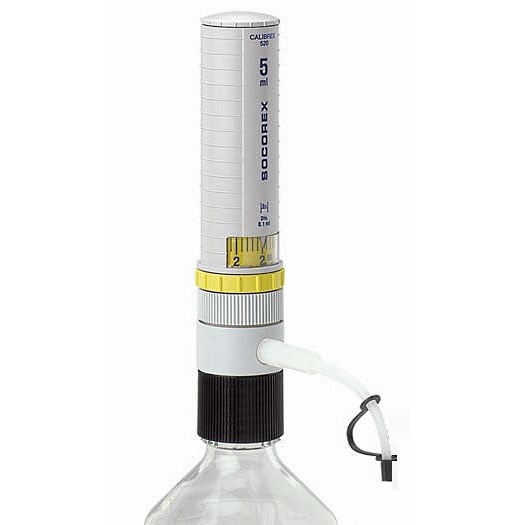 Contact sales@rosesci.com for more information including other accessories and a chemical compatibility chart. 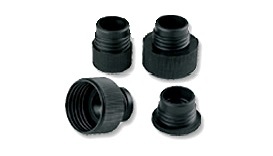 Fixed volume dispensers in these series are also available; please call or email for price and availability.